1; a structure scientist can co-opt to miniaturize electronics, create powerful yet-tiny batteries, build pacemakers without wires and develop a host of other medical advances. Scientists had believed Geobacter sulfurreducens conducted electricity through common, hair-like appendages called pili. Instead, a researcher at the University of Virginia School of Medicine and his collaborators has determined that the bacteria transmit electricity through immaculately ordered fibers made of entirely different protein. 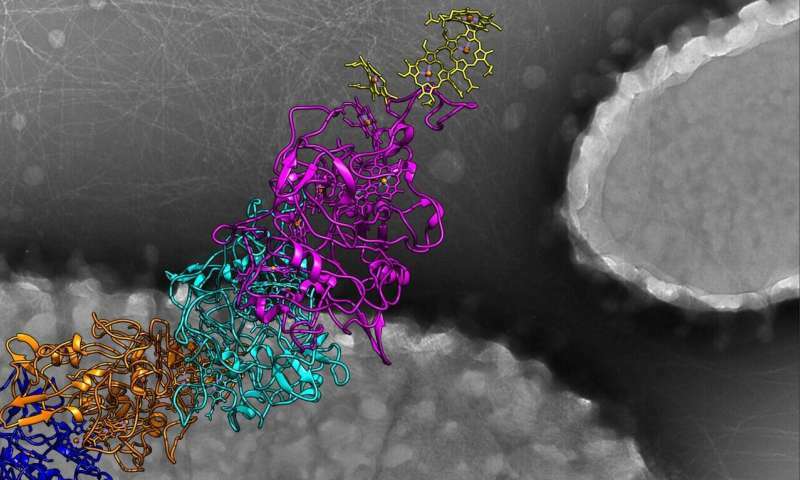 These proteins surround a core of metal-containing molecules, much like an electric cord containing metal wires. This "nanowire," however, is 100,000 times narrower than the width of a human hair. 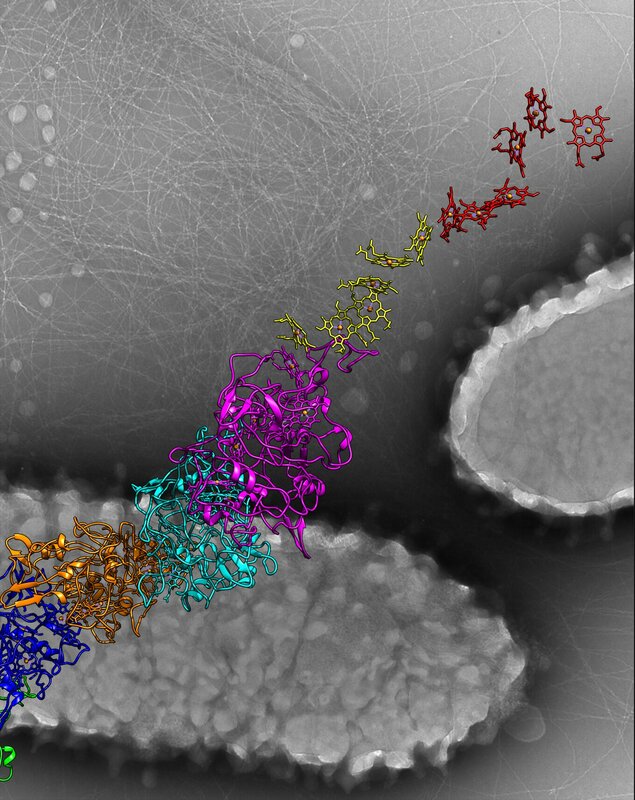 This tiny-but-structure, the researchers believe, could be tremendously useful for everything from harnessing the power of bioenergy to cleaning up pollution to create biological sensors. It could actually serve as the bridge between electronics and living cells. "There are all kinds of implanted medical devices that are connected to tissue, like pacemakers with wires, and this could lead to applications where you have miniature devices that are actually connected by these protein filaments, "said UVA's Edward H. Egelman, Ph.D. "We can now imagine the miniaturization of many electronic devices generated by bacteria, which is pretty amazing." He noted that by understanding the natural world, including the smallest scales, scientists and manufacturers can get many valuable insights and useful ideas. "One example that comes to mind is spider silk, which is made from just like these nanowires, but is stronger than steel," he said. "Over billions of years of evolution, nature has evolved materials that have extraordinary qualities, and we want to take advantage of that." The researchers have published their findings in the scientific journal Cell . The study's authors were Fengbin Wang, Yangqi Gu, J. Patrick O'Brien, Sophia M. Yi, Sibel Ebru Yalcin, Vishok Srikanth, Cong Shen, Dennis Vu, Nicole L. Ing, Allon I. Hochbaum, Egelman and Nikhil S. Malvankar.